Christians should see racism for what it is: sin. It is an assault on the fundamental dignity of men and women who are created by God. Racism is not always about skin color or ethnicity. We dehumanize a person who is in a coma by calling them a “vegetable”. “Out of the heart,” says Jesus, “come evil thoughts, murder, adultery, sexual immorality, theft, false witness, slander” (Matthew 15:19) and discrimination. The Gospel of Jesus Christ is the Good News of dignity for all people. Christians can explain that there is only one race: the human race. 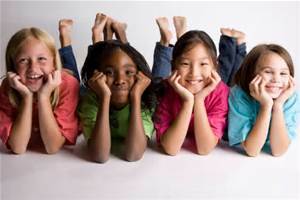 We are different skin tones and cultures, but all are lovingly created by God for His purpose. This stands in vivid contrast to the teachings of secular humanism. “The Church needs to be at the front of the conversation,” writes Stonestreet. I agree. Jesus restored relationships and showed how to treat people like brothers. Only Christianity sees the value of each human being because no one but Jesus Christ makes people so valuable. Jesus saw all people as treasures in a field. He paid the price of His life for each and every one of them (Matthew 13:44). With that understanding, we can see all people–of all colors and in every circumstance–as our neighbors. We can love them as we love ourselves.